Originally the Comedy Theatre until 2011, The Harold Pinter Theatre is a West End theatre on Panton Street, which opened in 1881. The venue was largely reconstructed during the 1950s and re-opened in 1955. In 1972 the building was Grade II listed by English Heritage. 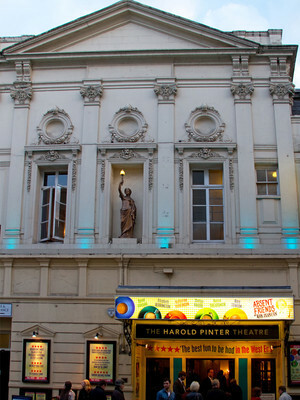 The owners of the theatre, Ambassador Theatre Group, renamed The Comedy Theatre to The Harold Pinter Theatre in October 2011. The venue hosts a variety of plays and long-lasting successful musicals. 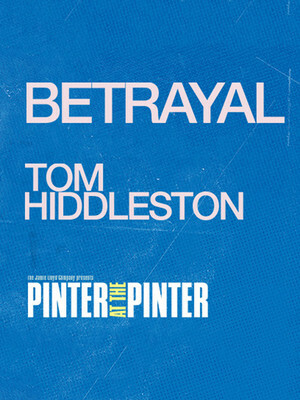 Please note: The term Harold Pinter Theatre as well as all associated graphics, logos, and/or other trademarks, tradenames or copyrights are the property of the Harold Pinter Theatre and are used herein for factual descriptive purposes only. We are in no way associated with or authorized by the Harold Pinter Theatre and neither that entity nor any of its affiliates have licensed or endorsed us to sell tickets, goods and or services in conjunction with their events.